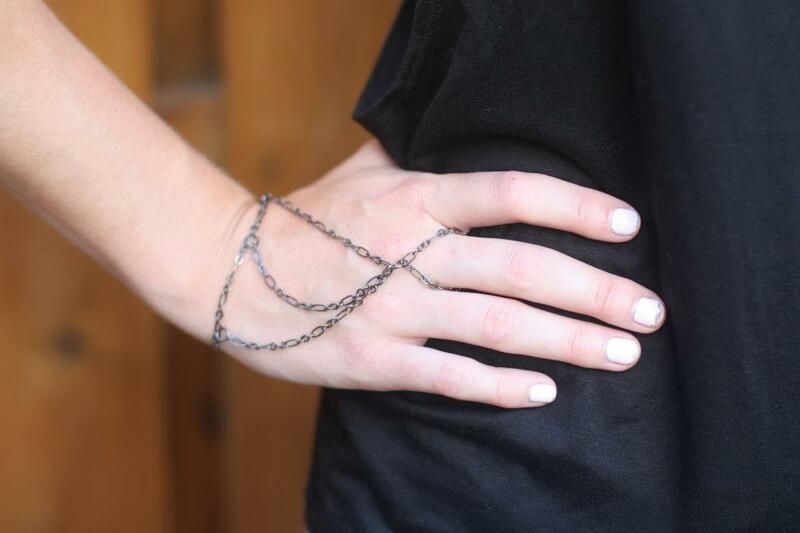 Rusted Revolution is a jewelry brand and fashion blog that I co-founded in 2010, during the first semester of my senior year at Boston College. In three years, Rusted Revolution featured several prominent up-and-coming artists and brands on our blog, produced two fashion shows (one in conjunction with Her Campus and Rent the Runway), contributed content on a regular basis to Her Campus, created a short-term satellite blog called Boston College for Rusted Revolution (BCxRR) with 10 student interns/contributing writers, sold jewelry on Etsy and New York-based boutique Barb & Bear, and designed custom necklaces for a wedding. This collection was structured around a love for wearable heavy metal of a neo-gothic and romantic nature. The focus of these pieces was to make women who wear them feel powerful without losing their femininity. We used brass-based chain, which is advantageous because it is non-magnetic and much less prone to corrosion than iron or steel chain. Our inspiration for our first jewelry line came from three sources: punk rock, warrior princesses, and Givenchy's Fall 2008 Ready-to-Wear collection. 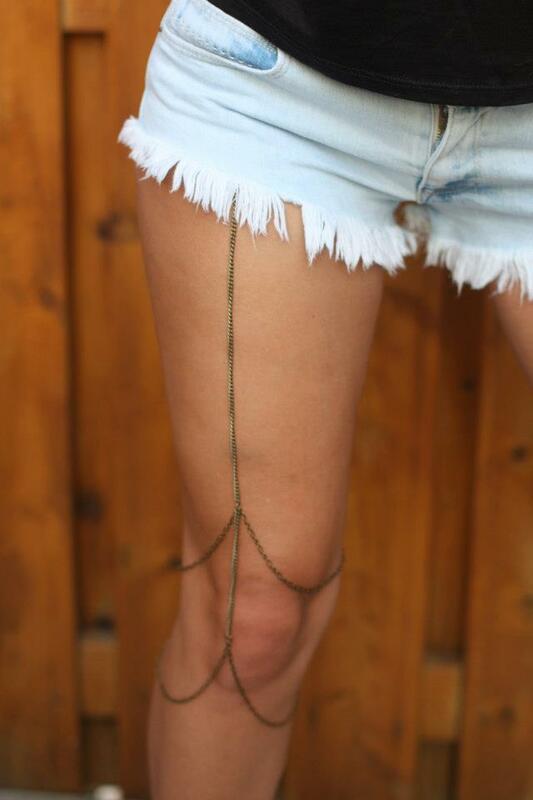 Avant garde body chains were making their way onto the scene, and we sought a way to translate the style into something wearable on the street. 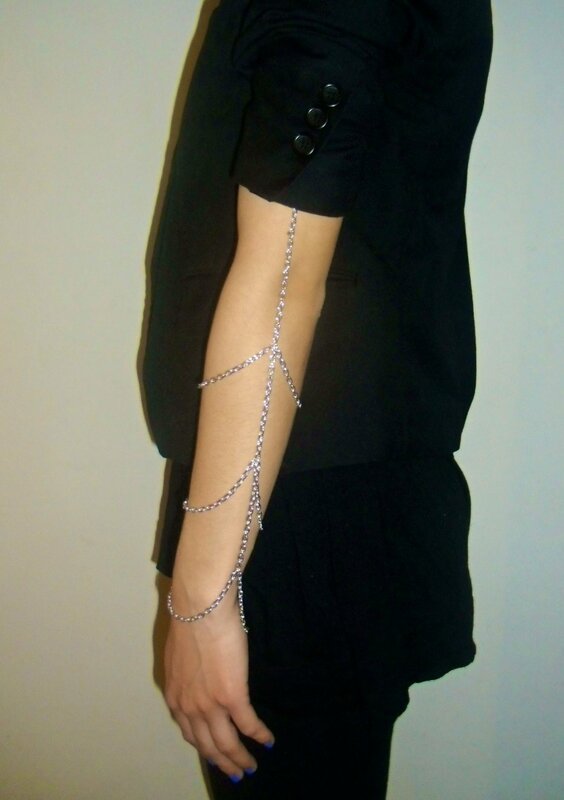 We used aluminum-based chain because it was extremely lightweight and comfortable to wear, and fit the budget of our target audience, fast-fashion seeking college students and young adults. I consulted with a bride and one of her bridesmaids to create custom necklaces for the bridesmaids to wear at her wedding. Over the course of several discussions, I decided to create something delicate, simple, and modern, staying true to the Rusted Revolution aesthetic while complimenting the bridesmaid gowns. The theme of the wedding decor was "country vintage," but I saw the necklace design as an opportunity to inject a little modernity and bring the a freshness to traditional styles. 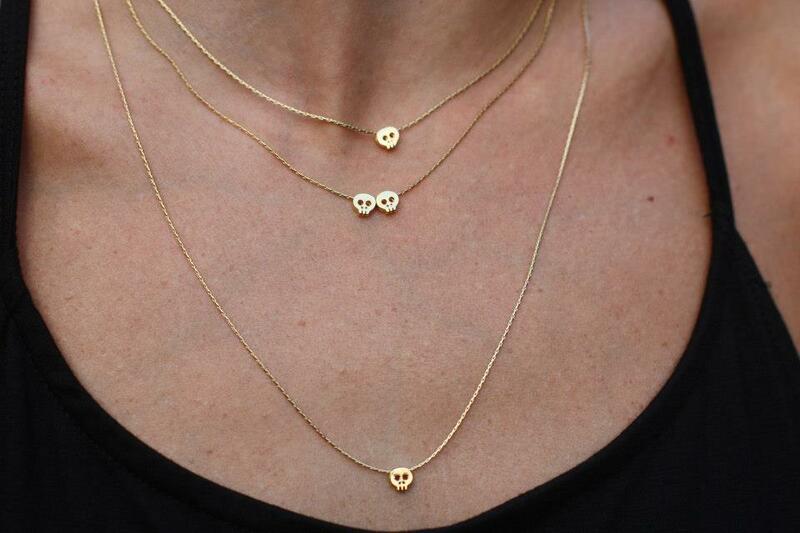 The necklaces were made from 14K gold fill rose gold chain, and metal-based rose gold stardust beads. 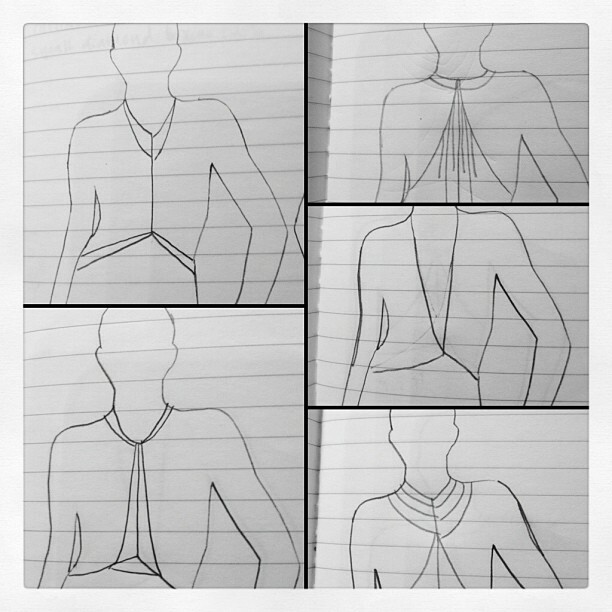 Before I can even construct the jewelry, I have to plan the designs. First, I start by creating model-shaped stencils which will allow me to accurately draw jewelry designs on consistent, realistically proportioned bodies. Then, once I have some sketches I like, I create prototypes out of cheaper chain until I get the shape, fit, and fastenings perfected. 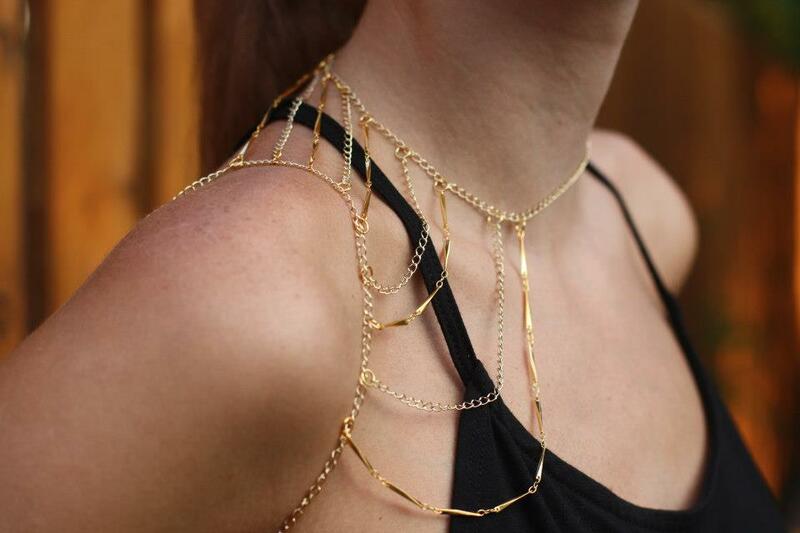 Why does jewelry design matter in UX work? Making jewelry that people want to buy and wear is very similar to UX, in that it requires having an understanding of the market and of the target user's wants, needs, and pain points, and taking that research and translating it into a product that provides a good experience. Just like one would wireframe and prototype when designing an app, in making jewelry, I would sketch out the structure of the piece, and then create a rough version of the design. Then, just like one would conduct usability testing, I would wear the prototype, and then eventually the final piece around, and adjust the design as needed. Fashion is very much a trial-and-error industry, and is customer/user-focused. A lot of the same processes, skills, and techniques I learned can be applied directly to UX Design.